Want to be on the wall at Ben’s? There’s an app for that. During lunch today at Ben’s, I saw Nizam Ali with an iPad, a picture frame, and a whole lot of velcro. He was building a picture frame so that just about anyone can end up on the wall at Ben’s. Mo, the manager, showed me how it works. Grab the app (iTunes, Free) for your iPhone, and snap a photo of yourself. After it uploads to the service, after a few minutes’ time, your smiling face ends up in the picture frame on their wall! “I have nothing in common with a business down at the Convention Center,” Fales said, noting that she wouldn’t necessarily even recommend someone walk that way at night. “I don’t want to be part of an arts district, because I’m already part of something–the Midcity Business Association.” Applause came from the back of the room. For those wondering if Midcity is as contrived as “NoMa”, see this post by DCist about the term’s history; it contains a picture of a map from 1937 utilizing the designation. On Sunday, I saw Nas surprise DC-area hip-hop fans at Rock The Bells; that’s a picture of him I snapped as he performed with the Wu-Tang Clan. The night after that, he headlined a sold-out show with Damian Marley, at the 9:30 club. 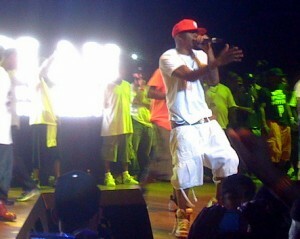 And on the third day, Nas rested. 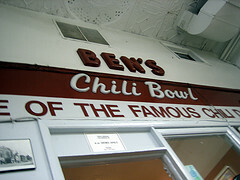 By eating at Ben’s. He even posed for a nice picture with Virginia Ali. 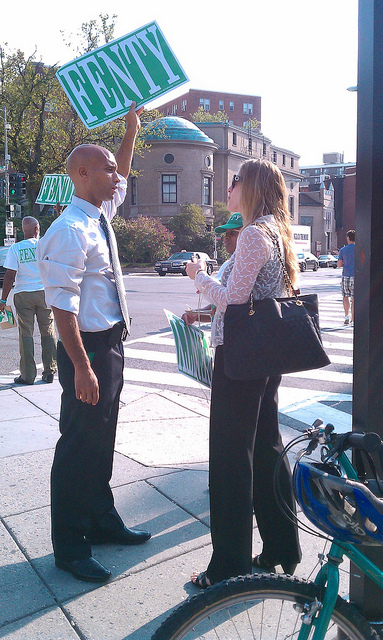 Mayor Fenty asks a potential voter if she is registered in the District. As they walked by, Mayor Adrian Fenty asked people if they were registered to vote in the district; if the answer was “No”, they were directed to an extremely cordial volunteer who offered to explain how to do that while he noted their information on a clipboard.